In this just-published study by Dr. William Shaw in the Journal of Restorative Medicine, strong evidence is presented that acetaminophen (sold as Tylenol or Paracetamol) increases in the rate of autism, asthma, and attention deficit with hyperactivity in genetically and/or metabolically susceptible children. 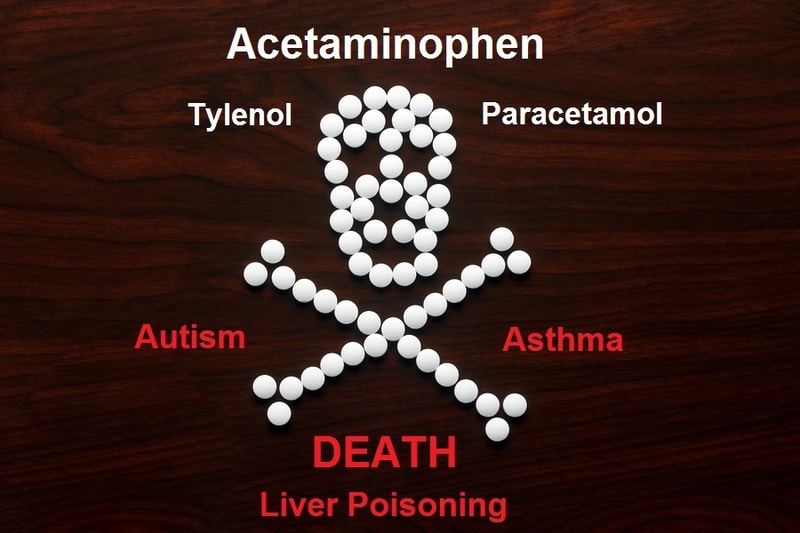 In the United States, acetaminophen is sold as an over-the-counter drug that needs no prescription, in spite of the fact that it results in death for hundreds of Americans each year. Many of the statistics on deaths and injuries due to acetaminophen was revealed in a comprehensive report earlier this year by ProPublica (See: Tylenol is Killing Americans). The evidence presented in this study is very convincing, as it looked at autism rates in Cuba, where acetaminophen is only available via prescription, and not widely used. Will the FDA finally act to take popular acetaminophen drugs off the market, or are market forces so strong as to prevail, even in the face of such overwhelming evidence? One of the puzzling aspects of autism is the marked increase in the incidence of autism that began in the United States in the early 1980s and has appeared to increase continuously since then. The highest incidence of autism has been reported to be South Korea, where the incidence is now reported to be one in 38 boys. Increased incidence of autism due to more effective diagnosis was disproved in the study of Irva Hertz-Picciotto who showed that perhaps 12% of the increased autism diagnoses could be attributed to improved diagnosis . A wide range of environmental factors has been associated with increased autism incidence, including pesticides, chemicals, phthalates, polychlorinated biphenyls, solvents, heavy metals or other pollutants. Although toxic chemicals are undoubtedly not beneficial for the health of any person, is there any information that indicates that a toxic avalanche of chemicals inundated the United States in the early 1980s? Indeed a wealth of knowledge about environmental chemicals has led to marked reductions in exposure to chemicals such as lead and dichlorodiphenyltrichloroethane (DDT) in the United States over the past 50 years. For example, acceptable safe limits for levels of lead in the blood have decreased from 60 μg/dL in 1960 to <5 μg/dL in 2010 . Making a connection between disease appearance and causative agent is important. Clinical studies, epidemiological studies and post-market pharmacovigilence are of utmost importance in recognizing signals and drug-induced side effects. One of the most notable cases of serious adverse effects caused by a pharmaceutical agent was the terrible developmental epidemic of the birth of children with seal-like arms and legs (phocomelia) that was linked to the maternal use of the sedative thalidomide 20–35 days after conception . What would have happened if the thalidomide connection had never been made? One of the difficulties with chemical studies of autism associations is that most chemicals are used worldwide, making it difficult to find a “clean” environment where autism might be less prevalent. One of the clues that led to the discovery of thalidomide as the causative agent of deformed limbs was that it was much more commonly used in Europe than in the United States. Countries with the greatest use of thalidomide by pregnant women during pregnancy were those with the highest incidence of deformed babies. If there was a geographic region in the world in which the incidence of autism was much lower than that in the United States, a comparison of medical or dietary differences might provide a significant clue to the major cause of autism. Such a country is Cuba. The highest estimate of the total incidence of autism in Cuba is 185 cases out of a total population of 11,000,000 (0.00168% of the population) compared with an estimate of as high as 1.5 million in a total United States population of 300 million (0.50%) [6, 7]. The percentage of the population with autism in the United States is thus 298 times higher in the United States than in Cuba. Cuba is much more economically challenged than the United States, with the per capita income of Cuba approximately eight times lower than that in the United States. Despite the economic challenges presented to the communist government of Cuba, basic healthcare is readily available and there are a large number of physicians trained in 14 different medical schools. Unlike the United States, where vaccines are optional in many states, vaccines are compulsory in Cuba and Cuba has one of the most highly vaccinated populations in the world against a wide variety of infectious agents. For example, the vaccination rate for measles was reported to be 99.7%. 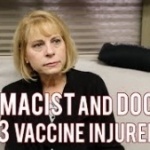 The association of autism with various vaccines has had a very controversial history with inflamed passions on both sides of the debate and will not be examined here. However, a topic much less frequently addressed in association with autism is the therapies that are given in conjunction with vaccines. The practice of prescribing acetaminophen as a prophylactic fever preventative is widespread in the United States but is very uncommon in Cuba (personal communications, Dr Olympio Rodriquez Santos MD, MSc, Allergist, Camaguey, Cuba). 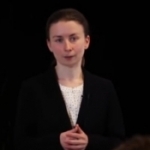 In the United States, some physicians have started to advise parents to begin to take acetaminophen prophylactically daily 5 days prior to childhood vaccines; some children on such prophylactic treatment had an autistic regression that began prior to vaccination (personal communication, Kerry Scott Lane MD, Anesthesiologist, West Palm Beach, Florida, USA). In Cuba, acetaminophen is not approved as an over-the-counter (OTC) product, however, it has been available as an OTC product since 1959 in the United States. Furthermore, in Cuba, prophylactic use of antipyretic drugs is not the standard medical treatment for vaccine-related fever (personal communications with Dr Olympio Rodriquez Santos). 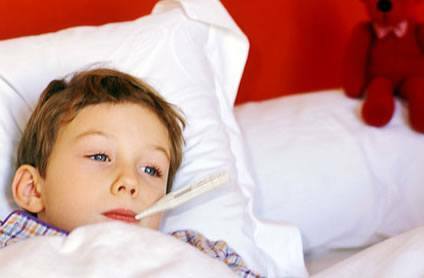 If high fever continues after vaccination in Cuba for more than 2 days, the parents are advised to visit the physician’s office where the drug metamizole is most commonly prescribed. Prescription of acetaminophen in such cases is rare. Metamizole is used in many countries throughout the world but is banned in the United States and some other countries because of a rare association with agranulocytosis. Acetaminophen is also termed paracetamol and N-acetyl-p-aminophenol (AAP or APAP). More than 70% of the population in western countries has taken acetaminophen at least once, and a relevant percentage takes the drug chronically as a mild pain reliever and antipyretic. Acetaminophen is used to treat pain and fever and it has become one of the most popular OTC non-narcotic analgesic agents. For example, this compound has been taken at least once by >85% of children under the age of 91 months in the UK.15 In the US, approximately 79% of the general population regularly takes acetaminophen, including more than 35% of pregnant women. Acetaminophen has grown in popularity in large part due to its reputation for safety. For generations, Tylenol® (a popular brand of acetaminophen) advertisements have painted it as “the pain reliever hospitals use most.” Acetaminophen is in >600 OTC and prescription products, from headache and cold remedies to cough syrups and sleep aids. The study by Schultz et al. was the first to specifically link increased acetaminophen use to increased autism. This study included a graph similar to Figure 1 temporally relating increased autism incidence in California with increased acetaminophen use in the United States and decreased acetaminophen use with decreased rate of autism in California. In addition, similar increases in the rates of asthma correlated with the usage of acetaminophen were also noted by Becker and Schultz. They noted that the rates of autism incidence and asthma stopped increasing in the months following two attempted extortion events in which acetaminophen was deliberately laced with cyanide. 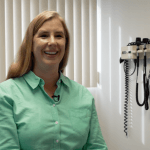 The changes in the incidence of these very different diseases at exactly the time acetaminophen use dropped for a significant period of time is remarkable and may indicate the same factor as causing the two diseases. In addition, the autism paper by Schultz et al. included the results of an online survey of parents who had given their child the combined measles, mumps, rubella (MMR) vaccine, which revealed that children with autism had more adverse reactions to the MMR vaccine and were more likely to have been given acetaminophen than ibuprofen for those reactions. Compared with controls, children aged 1–5 years with autism were eight times more likely to have become unwell after the MMR vaccine, and were six times more likely to have taken acetaminophen. Children with autism who regressed in development were four times more likely to have taken acetaminophen after the vaccine. 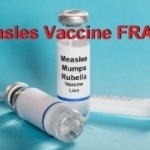 Illnesses concurrent with the MMR vaccine were nine times more likely in autistic children when all cases were considered, and 17 times more likely after limiting cases to children who regressed. There was no increased incidence of autism associated with ibuprofen use. The incidence of attention deficit with hyperactivity over the last 50 years follows patterns similar to those of autism and asthma, although the data for attention deficit-hyperactivity disorder (ADHD) are not available to the same depth as the data for autism and asthma. Before 1970, the diagnosis of ADHD was relatively rare for schoolchildren and almost nonexistent for adolescents and adults. Between 1980 and 2007, there was an almost 8-fold increase of ADHD prevalence in the United States compared with rates of 40 years ago. Prevalence of ADHD in American schoolchildren was 1% in the 1970s, 3–5% in the 1980s, and 4–5% in the mid-to-late 1990s. [18–24] A study of hospital discharge rates for ADHD between 1989 and 2000 found a 381% increase over the study period. Use of acetaminophen dramatically increased in the United States in the 1980s due to a concern over an association of aspirin with Reye’s syndrome, although a number of critics reject this hypothesis. [26–28] For example, the current recommendations for the management of children with Kawasaki disease include treatment with high-dose aspirin in the acute phase, and low-dose aspirin during the period of thrombocytosis. For those with residual coronary problems, low-dose aspirin is often given over an even longer term. In Japan alone, up to 200,000 children have received aspirin for Kawasaki disease. Interestingly, only one case of Reye’s syndrome associated with Kawasaki disease has ever been reported, and only in the Japanese literature, giving an incidence of 0.005%. In addition, retrospective reevaluation of patients with a diagnosis of Reye’s syndrome who survived has revealed that many, if not most, had an underlying inborn error of metabolism (IEM). Many of these IEMs had not even been described when the diagnosis of Reye’s syndrome was made. 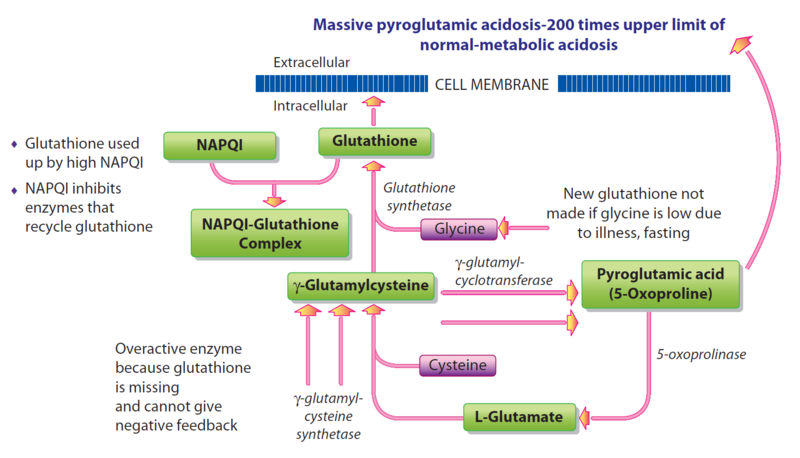 Inborn errors that may mimic Reye’s syndrome include fatty-acid oxidation defects, amino and organic acidopathies, urea-cycle defects, and disorders of carbohydrate metabolism. Future discovery of other IEMs may ultimately explain even more of these cases. Additional etiologies that may mimic Reye’s syndrome include viral infections, neuromuscular diseases, adverse drug reactions, and exposure to toxic chemicals and plants that cause hepatocellular damage and encephalopathy. Diagnostic methods such as GC/MS became more widely available in the 1980s and later so that the patients with IEMs were diagnosed with an IEM instead of Reye’s syndrome. 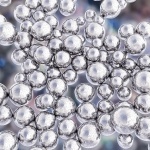 The main cause of Reye’s syndrome appears to be the accumulation of nonesterified fatty acids and lysolecithins that have a high detergent activity and thus denature all proteins. An article with the title, “Did acetaminophen cause the autism epidemic?” was more pointed. The rest of this article will deal with the known toxicity of acetaminophen and how other known anatomical, immunologic, biochemical, and infectious aspects of autism can be related to the effects of acetaminophen. Acetaminophen decreases GSH levels, principally in the liver and kidneys, but also in the lungs. These decreases are dose dependent; overdose levels of acetaminophen are cytotoxic to pneumocytes and cause acute lung injury, whereas nontoxic, therapeutic doses produce smaller, but significant reductions in GSH levels in type II pneumocytes and alveolar macrophages. Among healthy young volunteers, significantly lower serum antioxidant capacity has been seen within 2 weeks of ingestion of 1 g of acetaminophen. 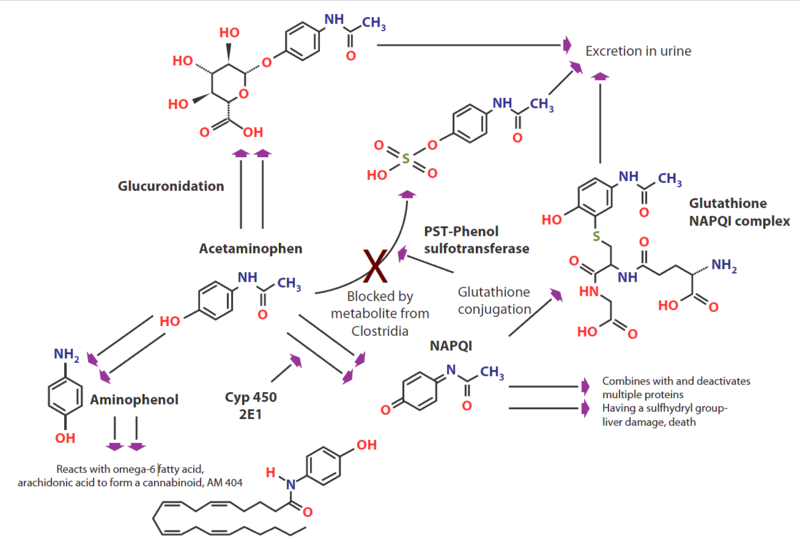 By depleting GSH levels, acetaminophen weakens the ability of the host to mitigate oxidative stress produced by reactive oxygen species (ROS) such as superoxide anions (O2 −), hydroxyl (•OH), and peroxyl (ROO−) radicals. Finally, when GSH levels are low, defective processing of disulfide bonds that are key in antigen presentation has been hypothesized. It is conceivable that decreased levels of GSH guide the expression of T-helper cell pathways by altering antigen presentation and recognition, thereby favoring the T2 allergic-dominant pathway. In a study of children with autism spectrum disorders (ASDs) in Sweden, airway symptoms of wheezing and physician-diagnosed asthma in the baseline investigation in infants and toddlers were associated with ASD 5 years later. 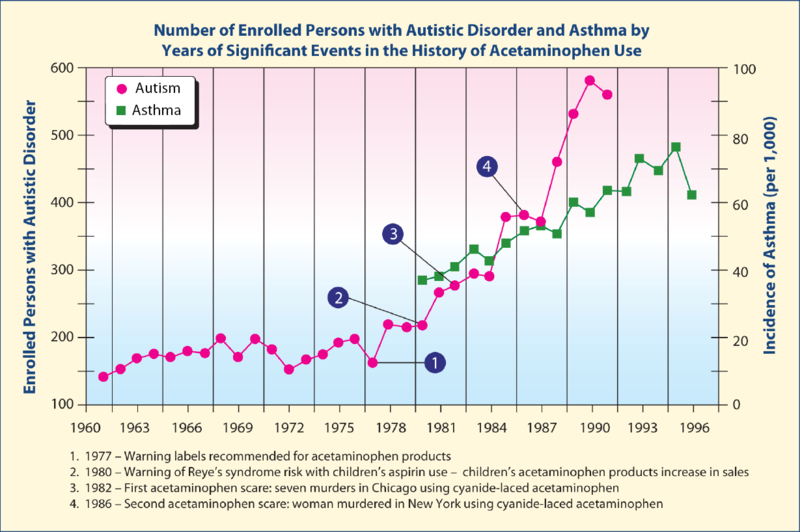 The beginning of the rapid increase in autism in around 1980 coincides with the rapid increase in asthma, both of which coincide with the rapid increase in the use of acetaminophen following the Reye’s syndrome scare over a possible association with aspirin. It would seem likely that perhaps some children on the autistic spectrum might have both brain and lung abnormalities caused by acetaminophen. Is there any evidence for such combined abnormalities? Indeed, at the annual meeting of the American College of Chest Physicians in Honolulu, Hawaii in 2011, Barbara Stewart, a pediatric pulmonologist, found that a significant lung abnormality was present in 100% of children (n = 47) on the autistic spectrum who were examined, but in none of <300 children without autism.68 Most of the children with autism had been referred to her clinic due to persistent cough unresponsive to treatment. She noticed during bronchoscopy examinations, in which a lighted tube is inserted into the lungs, that, although the airways of the children initially appeared normal, the lower airway had doubled branches, or “doublets”. Dr. Stewart said “when airways divide beyond the first generation, they typically branch like a tree, with one branch on one side and one on the other. A doublet occurs when there are twin branches that come off together instead of one, which are exactly symmetrical, in each of the lower locations that can be seen.” In a study of ASD children in Sweden, airway symptoms of wheezing and physician-diagnosed asthma in the baseline investigation in infants and toddlers were associated with ASD 5 years later. It would seem very useful to examine the use of acetaminophen both prenatally and postnatally in the children with the abnormal lung anatomy. From the time it was introduced in 1955, acetaminophen has become one of the most successful OTC drugs, and has earned the primary manufacturer, Johnson & Johnson, an estimated US$1.3 billion every year. Within the last 10 years, the FDA has chronicled manufacturing problems including mislabeling of children’s tablets, where packages of the product listed an incorrect amount of the ingredients per tablet, inadequate cleaning of equipment used for manufacturing, insufficient follow-up in investigating consumer complaints, product mix-ups, and contamination with metal fragments and bacteria. [74, 75] The latter resulted in a recall of 135 million bottles of children’s medications containing acetaminophen. Additional recalls occurred in 2009 and 2010 due to trace amounts of the chemical 2,4,6-tribromoanisole found in infant, children, and adult OTC products. This recall was prompted by 775 consumer reports of nausea, vomiting, stomach pains and diarrhea received by FDA due to the contamination. It was found that the chemical 2,4,6-tribromoanisole (a metabolite of a chemical fungicide tribromophenol) was being used in a manufacturing facility to treat the wood used in pallets used for transporting packaged materials. Tribromoanisole is produced when naturally-occurring airborne fungi and/or bacteria (usually Aspergillus sp., Penicillium sp., Actinomycetes, Botrytis cinerea, Rhizobium sp., or Streptomyces) are presented with brominated phenolic compounds, which they then convert into bromoanisole derivatives. Other FDA-publicized inspection reports of acetaminophen-manufacturing facilities have listed inadequate quality controls, lack of safeguards to isolate “rejected” raw materials and other drugs, and several human errors resulting in product mix-ups. Several recalls have occurred due to failed FDA manufacturing inspections and contaminated products affecting >300 million bottles of adult and children’s medicines. [79, 82] Manufacturing controls are an integral aspect of pharmaceutical production to ensure public safety, and disregard or deficiency can lead to serious outcomes. In response to the high number of inadequacies found through inspections and numerous recalls, US health authorities have taken over supervision of three acetaminophen manufacturing plants to mitigate risks. 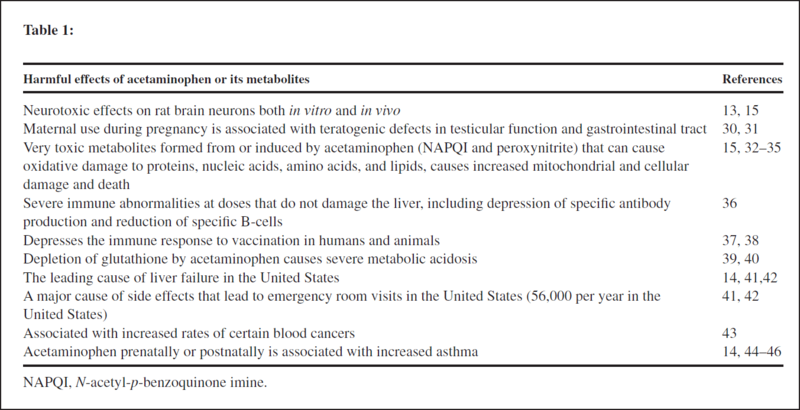 Given associations of acetaminophen with increased rates of cancer, increased testicular damage, increased rates of asthma, and allergy, plausible causation of autism, and in vitro evidence of brain damage associated with metabolites of acetaminophen, new assessments of the relative risk of aspirin causing Reye’s syndrome versus the risks of acetaminophen in children should be undertaken. If a clear link between acetaminophen use pre- or post-natally and autism is established, medical practice guidelines may need to be adjusted and alternative analgesics or antipyretics, such as ibuprofen, recommended. However, such a relationship may be difficult to establish, as studies may have to account for variations in dosage amounts, formats, combination product use, and for the possibility of product recalls given the recent reported manufacturing issues surrounding acetaminophen. In 2013, Bauer and Kriebel reported that prenatal use of acetaminophen was strongly correlated with autism/Autism Spectrum Disorder prevalence (r = 0.80) using all available country-level data (n = 8) for the period 1984 to 2005. In addition, the authors found that after acetaminophen became commonly used to treat circumcision pain after 1995, there was a strong correlation between countrylevel (n = 9) autism/ASD prevalence in males and a country’s circumcision rate (r = 0.98). A very similar pattern was seen among US states and when comparing the three main racial/ethnic groups in the US. Reprinted with Permission. Copyright Great Plains Laboratory, Inc. 2013 Original Source. Reed G, Galindo MA. Cuba’s National Immunization Program. MEDICC Review. 2008;9(1):5–7. U.S. Food and Drug Administration. For consumers – Don’t double up on acetaminophen. 2013. Available at:http://www.fda.gov/ForConsumers/ConsumerUpdates/ucm336581.htm . Accessed March 19, 2013. Safer DJ, Krager JM. The increased rate of stimulant treatment for hyperactive/inattentive students in secondary schools. Pediatrics. 1994;94(4):462–4. Orlowski JP, Hanhan UA, Fiallos MR. Is aspirin a cause of Reye’s syndrome? A case against. Drug Saf. 2002;25(4):225–31. Shaw W. Possible role of lysolecithins and nonesterified fatty acids in the pathogenesis of Reye’s syndrome, sudden infant death syndrome, acute pancreatitis, and diabetic ketoacidosis. Clin Chem. 1985;31(7):1109–15. Kristensen DM, Hass U, Lesné L, Lottrup G, Jacobsen PR, Desdoits-Lethimonier C, et al. Intrauterine exposure to mild analgesics is a risk factor for development of male reproductive disorders in human and rat. Human Reprod. 2010;26(1):235–44. Lee SS, Buters JT, Pineau T, Fernandez-Salguero P, Gonzalez FJ. Role of CYP2E1 in the hepatotoxicity of acetaminophen. J Biol Chem. 1996;271(20):12063–7. Walter RB, Milano F, Brasky TM, White E. Long-term use of acetaminophen, aspirin, and other nonsteroidal anti-inflammatory drugs and risk of hematologic malignancies: results from the prospective vitamins and lifestyle (VITAL) study. J Clin Oncol. 2011;94:2424–2431. O’Reilly BA, Waring RH. Enzyme and sulphur oxidation deficiencies in autistic children with knownfood/chemical intolerances. J Orthomol Med. 1993;8(4):198–200. Alberti A, Pirrone P, Elia M, Waring RH, Romano C. Sulfation deficit in “low functioning” autistic children: A pilot study. Biol Psychiatry. 1999;46(3):420–4. 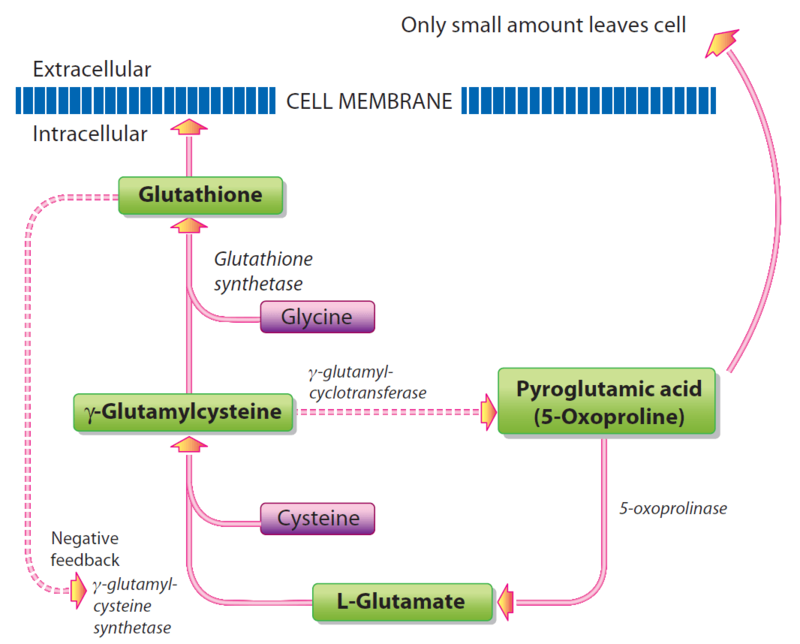 Schlune A, Mayatepek E. Glutathione synthetase deficiency – An inborn error of the gamma-glutamyl cycle. J Pediatr Sci. 2011;3(70):2505–9. Easton T, Herrera S. Despite bad publicity and costly legal settlements, Johnson & Johnson refuses to put ample warnings on its Tylenol labels. 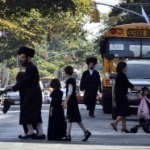 Torah View 2012. Available at: https://groups.google.com/forum/#!topic/alt.med.fibromyalgia/grdcWoHo5Hw. Accessed April 26, 2012. Kavilanz P. Tylenol plant: From bad to worse. CNN Money 2010. Available at: http://money.cnn.com/2010/06/22/news/companies/tylenol_plant_inspection_history/index.htm. Accessed April 26, 2012. Kavilanz P. Tylenol plant still plagued by FDA violations. CNN Money 2012. Available at: http://money.cnn.com/2010/12/01/news/companies/tylenol_plant_new_problems/index.htm. Accessed April 26, 2012. Kavilanz P. Tylenol recall: Serious side effects investigated. CNN Money 2010. Available at: http://money.cnn.com/2010/05/25/news/companies/tylenol_recall_adverse_consumer_complaints/index.htm. Accessed April 26, 2012. 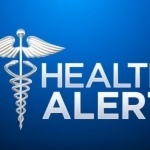 Kavilanz P. New recalled Tylenol linked to shut plant. CNN Money 2010. Available at: http://money.cnn.com/2010/10/19/news/companies/new_tylenol_recall/index.htm. Accessed April 26, 2012. Baker SL. Drugs like Tylenol can be contaminated with mold and chemicals. NaturalNews Com 2010. Available at: http://www.naturalnews.com/027965_Tylenol_recall.html. Accessed April 26, 2012. Heavey S. FDA finds grime at J&J plant, urges use of generics. Reuters 2010. Available at: http://www.reuters.com/article/2010/05/05/us-johnsonandjohnson-recall-idUSTRE64367Z20100505. Accessed April 26, 2012. Silverman E. Which Drugmaker Fails Most FDA Inspections? Pharmalot com 2011. Available at: http://www.pharmalive.com/which-drugmaker-fails-most-fda-inspections. Accessed April 26, 2012. Krauskopf L. More Tylenol Recalled. The Huffington Post 2011. Available at: http://www.huffingtonpost.com/2011/03/30/tylenol-recalled-_n_842450.html. Accessed April 27, 2012. Kavilanz P. U.S. takes over three Tylenol plants. CNN Money 2011. 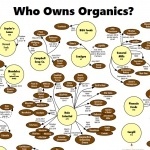 Available at: http://money.cnn.com/2011/03/10/news/companies/johnson_mcneil_fda_action/index.htm. Accessed April 27, 2012.